From waterfalls to salt plains, here are the 10 most beautiful places in the world to visit. 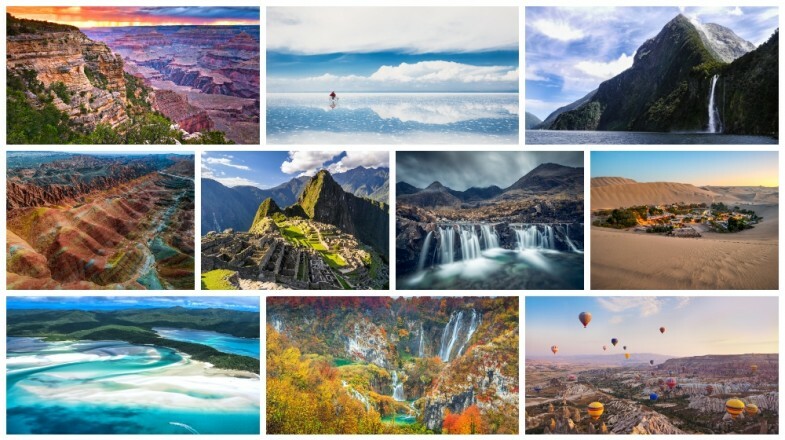 Shortlisting the 10 most beautiful places in the world is certainly not easy, and visiting all those beautiful places that this planet has to offer could take a lifetime, possibly more. However, we’ve shortlisted a few attractions that should always be close to the top of your bucket list, for each destination is an experience to be savored, a moment you’re sure to cherish throughout your life. Cappadocia is a living example of just how odd yet beautiful nature can be. It presents a fantasy-like landscape which looks like it’s been plucked out of a fairy tale, alien-like hills and boulders that seem as if they’ve been transported from another planet. The humans who once lived here used the area’s soft stone to create underground shelters, leaving all kinds of weird architectural wonders in their wake. 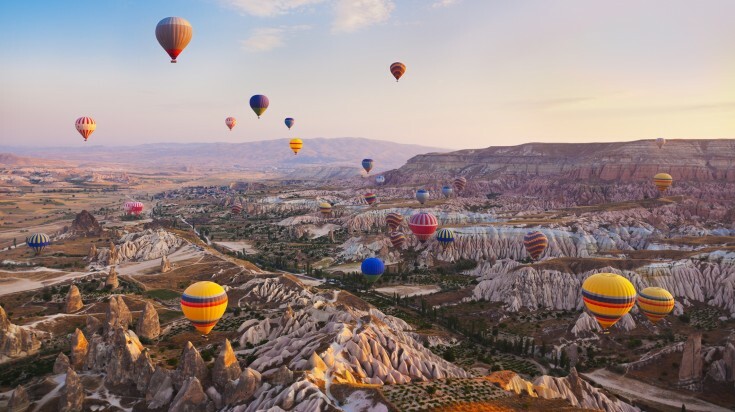 The lunar landscape is stunning on its own, but the countless hot-air balloons that fill up the sky with shades of red, yellow, orange and cream simply take its beauty to the next level. The Goreme Open Air Museum and its rock-cut churches and the subterranean wonders of Kaymakli are among the best things to see in Cappadocia. It’s easy to see why the Whitehaven Beach ranks among the most photographed beaches in the world. The magnificent 7 km stretch of white sand that feels like your own private slice of heaven presents an aura of peace and serenity, letting you experience relaxation at its very best. The beach is accessible via boat from Hamilton Island and the ports of Shute Harbour and Airlie Beach. 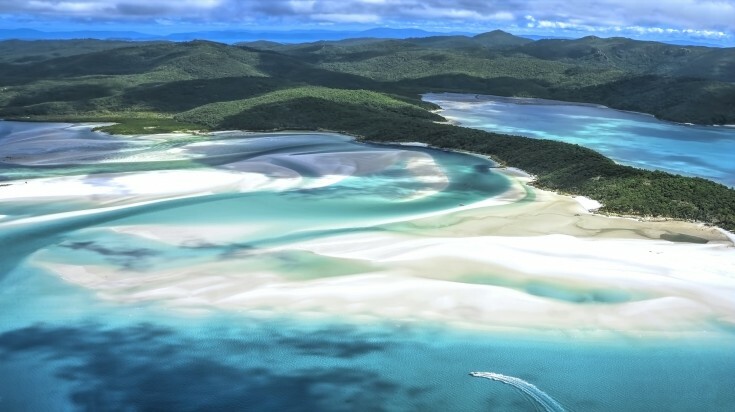 To enjoy the best view of Whitehaven Beach, make your way to Tongue Point. Time your trip with a low tide and you’ll get to see a mesmerizing fusion of colors that always promises the grandest of views. 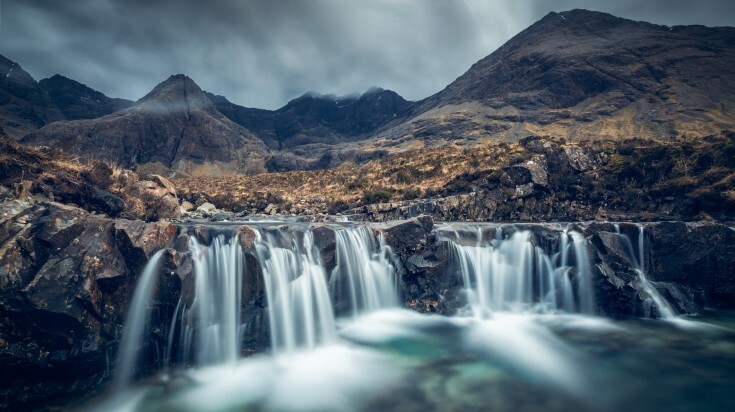 You might suddenly start believing in fairies the moment your eyes fall on the Fairy Pool, an ethereal oasis that bewitches visitors with its crystal clear water, picture-perfect scenery and magical atmosphere. The waters are freezing, but if you’re searching for wild swimming adventures, it truly doesn’t get better than this. And if you’re not as adventurous, a mere walk around the area, exploring aqua blue pools, each more appealing than the other, is sure to leave you in high spirits. The place also has its own infinity pool, bounded by a beautiful stone wall! There’s a reason more than 5 million people choose to visit the Grand Canyon each year. It’s one of the most magical destinations on the planet. 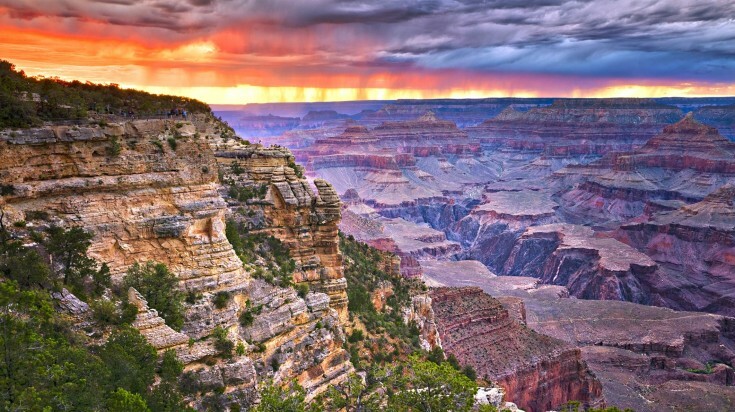 Irrespective of how much you read about the Grand Canyon, you’re sure to end up being spellbound, for nothing prepares you for the magical sight that this wonder has to offer. Considered to rank among one of the top 7 wonders of the world, this fascinating piece of art feels strikingly familiar, yet entirely unique. Its sheer size leaves you speechless and visiting the canyon during sunrise or sunset leaves you mesmerized because the scenery on display is so serene, so beautiful, so pure. The canyon is divided into three rims, North, West and South, and all three offer incredibly unique experiences. The South Rim is the most visited feature of the Canyon for it hosts a majority of the regions infrastructure, Native American ruins, viewpoints and historic artefacts. However, if you’re after adventure and solitude, the North Rim is where you need to be. Huacachina, a desert oasis in the sand dunes of Peru. 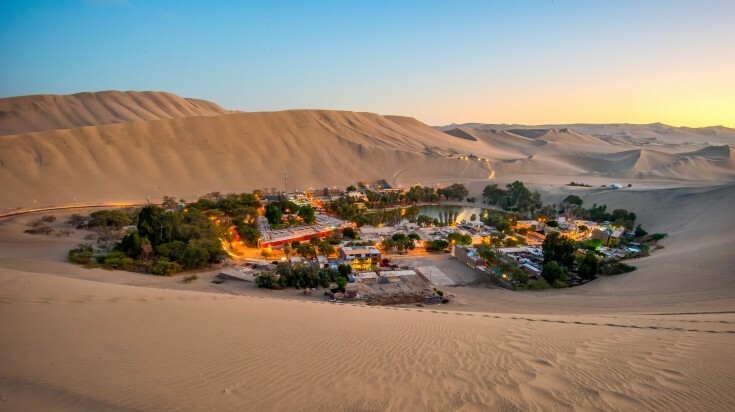 Psy lovers and artists will fall in love with Huacachina, a stunning desert oasis that leaves you mesmerized with its raw beauty and fantastical legends. Think of yourself sitting on a huge sand dune enjoying breath-taking sunset views as the landscape reveals vivid colors of red and yellow all around you. Right in front of you lies a dreamy oasis which looks like a still from one of those Arabian Nights movies, dotted with palm trees, covered with rustic hotels that offer the very best of luxury. Huacachina might lose out to Machu Picchu and Nazca in terms of popularity, but it provides a picture-perfect setting for those searching for mystery, adventure or romance. Spend the evening serenading your sweetheart by the lake, but don’t forget to keep an eye out for the mermaid that is said to live there. Salar de Uyuni, the world's largest salt flat, located in Bolivia. The largest salt mine in the world is also one of its most beautiful wonders. 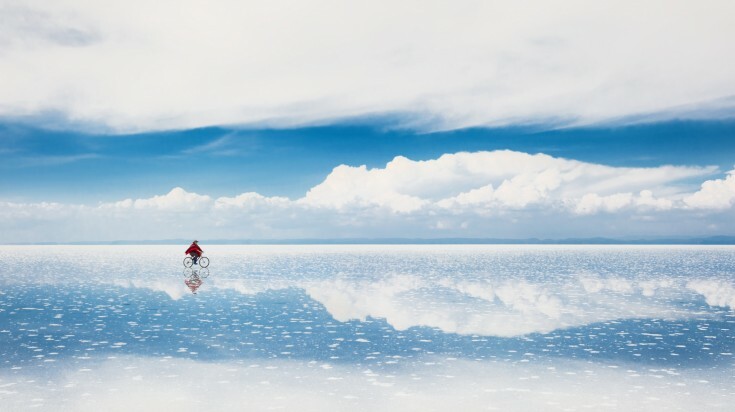 Salar de Uyuni looks like one of those fantasy-like paintings of the renaissance era, but it proudly stands as one of the most stunning spectacles of South America. The sheer beauty of this vast desert leaves you speechless and the strange islands that form in a sea of salt present an unforgettable landscape that is sure to remain etched in your minds forever. No list of the most beautiful places in the world would ever be complete without mentioning Plitvice Lakes National Park in Croatia. This mesmerizing park is the largest national park in the country and is most famous for its 16 crystalline lakes that join one another through a series of cascades and waterfalls. You explore the park via 18 kms of wooden pathways and footbridges that snake their way around the edges and across the waterfalls to offer unparalleled views of the area. Clouds of colorful butterflies also keep you company throughout your hike. 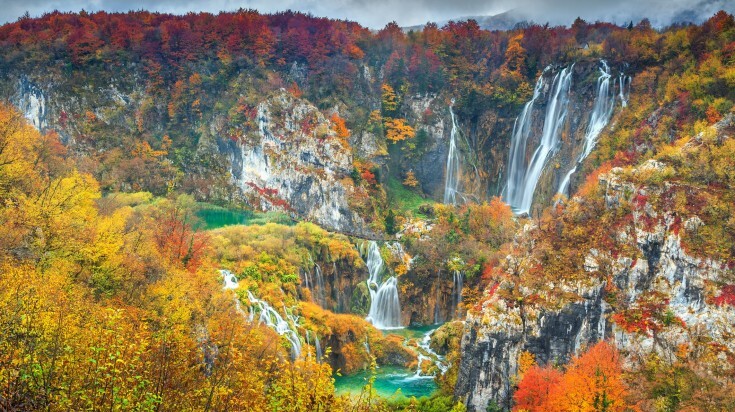 No wonder that Plitvice Lakes manages to attract as many as 1,200,000 people per year. Sydney Opera House, Waitomo Caves, Great Barrier Reef, Sydney Harbor Bridge, you have all kinds of attractions to keep you company while on tour to Australia and New Zealand. However, the moment your visit Milford Sound, everything else pales in view. This 1692m high mountainous fjord is where you see all those Lord of the Rings fantasies come to life, and your first glimpse is likely to leave you with butterflies in your belly. 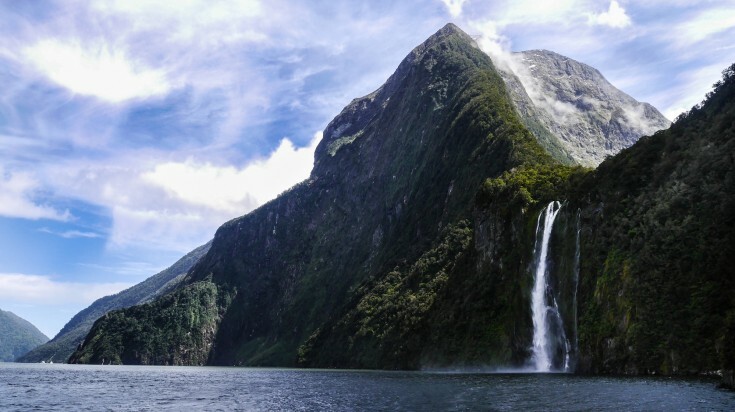 No wonder that Milford Sound attracts more than 500,000 visitors per year. You can visit Milford Sound on foot, via helicopter or via bus tours. If you’re in love with everything that the Grand Canyon represents and are closer to Asia than to North America, hop over to China to see the Rainbow Mountains of Zhangye Danxia National Geological Park. Considered to be as stunning as the Grand Canyon, and one of the most beautiful places in all of China, the mountains present dramatic colors of maroon, magenta, yellows and greens due to trace minerals within the sandstone. And finally there’s the great Machu Picchu, the so-called lost civilization of the Incas. 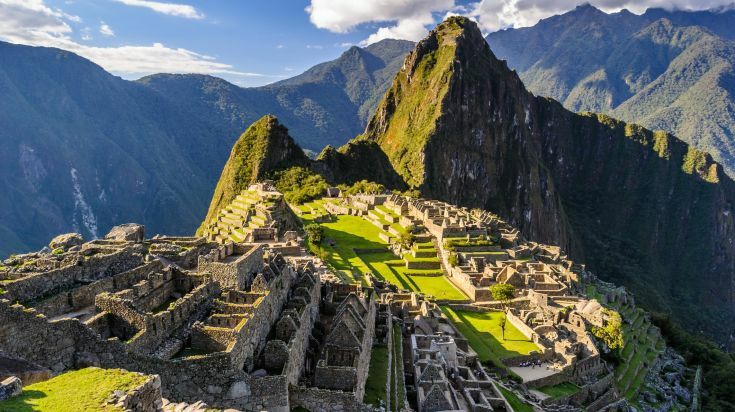 Machu Picchu was built around the year 1450 and was occupied for almost 100 years before the Spanish Conquest. This mesmerizing city was never discovered by the Spaniards and was literally forgotten until the early 20th century, meaning that most of its architectural wonders still remain intact. The hike up the hills is an adventure in itself, and this mysterious city looks most beautiful from the Inca Trail lookout point. Each of these places leave you speechless with their beauty, mystery and ingenuity, making you wonder just how many secrets this beautiful planet still has in store for us. Exploring the most beautiful places in the world is a time-consuming affair, for there are so many destinations that could make your list, but each experience is sure to be incredible, fascinating and extremely rewarding. So cool. My list is almost similar. you can check this : https://www.youtube.com/watch?v=sjbDRk3Dn1w. 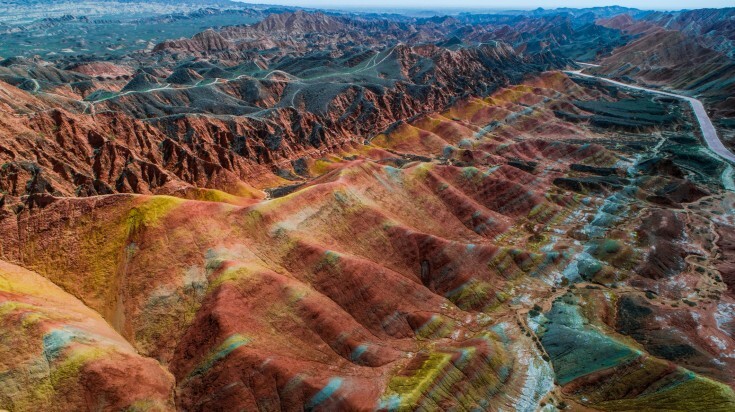 "...Rainbow Mountains of Zhangye Danxia. Considered to be as stunning as the Grand Canyon, this UNESCO World Heritage Site presents dramatic colors of maroon, ..."
Zhangye Danxia is not part of the China Danxia that was enlisted in the UNESCO World Heritage Site. The location identified are in Hunan, Guangdong, Fujian, Jiangxi, Zhejiang, and Guizhou. Gansu is absent from the list submitted. For me I found the Plitvice lakes in Croatia an incredible place to be visit. I hope to be there next year, I also wish to check out all the amazing bridges there.